We had a great time at Asbury… How about if we came your way, too? 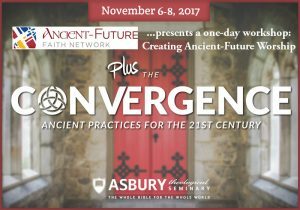 In early November, the AFFN enjoyed a wonderful collaboration with the folks at Asbury Seminary and their annual convocation called “The Convergence: Ancient Practices for the 21st Century.” The AFFN sponsored a one-day worship workshop on Monday of that week, just before “The Convergence” started. We were blessed by the wonderful reception we received at Asbury: All the folks there, particularly Drs. Jonathan Powers, Winfield Bevins, and Ross Jenkins, were extremely kind and accommodating. Bless you all, and thank you for your gracious welcome. The AFFN workshop featuring Drs. Teresa Gardner, Ellen Koehler, Carl Peters, Jennifer Harris-Clayton, and Chris Alford was terrific, and the Convergence Conference had a terrific lineup of speakers as well, including worship leader, pastor, and theologian Glenn Packiam. One little bug to put in your ear: We’re thinking that this model of teaming up with a seminary or other educational institution for a similar collaboration needs to be a major emphasis for us at the AFFN. 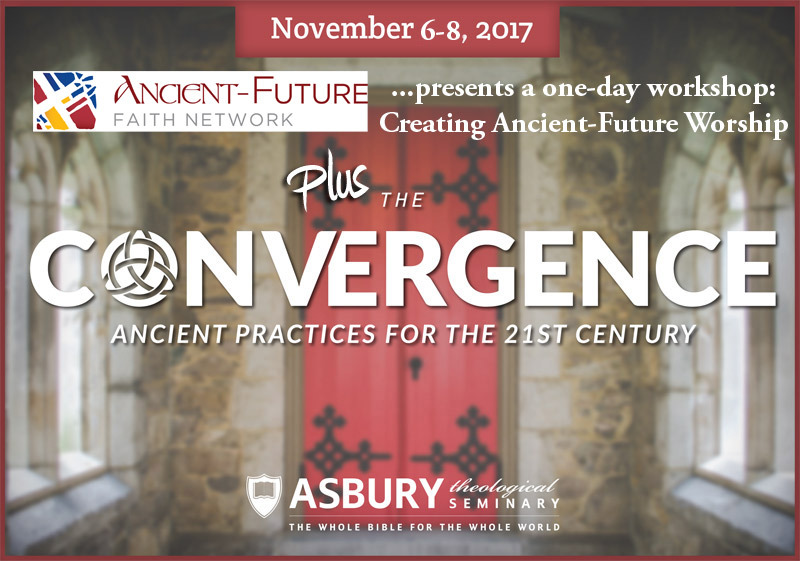 We have several AFFN members at various schools, seminaries, colleges, and universities: If you’re working towards having some sort of event where we can partner with you, let’s have a conversation. We’d love to help draw attention to your conference, encourage our members to attend, and sponsor an event alongside you!